Storage and sharing company Cloud Engines on Monday launched a new service called Pogoplug Cloud—a secure, cloud-based online space for storing and streaming content to and from mobile devices. Designed to integrate mobile devices with Pogoplug’s existing cloud-based hardware and software storage products, Pogoplug Cloud allows users to customize their cloud experience. 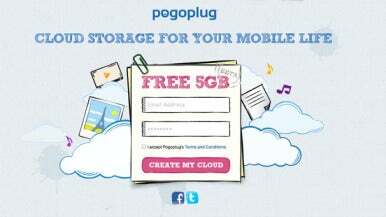 When signing up for Pogoplug Cloud, users begin with 5GB of free storage space powered through a mobile app or mobile browser. Photos, videos, and other media kept or created on your phone or tablet will automatically be stored in your Cloud through the app without having to sync your device to your home network. You can access your personal cloud from any Web browser, and the mobile app allows for items to be easily shared through email, Facebook, Twitter, and Google+. You can also stream content stored in the cloud to your phone. To set itself apart from the growing list of cloud-based storage options (iCloud and Dropbox to name a few), Pogoplug offers mobile services, hardware, and software for cloud storage—and the three are integrated seamlessly together. For example, if the Pogoplug Cloud storage space constraints are too limiting, you can host your own private cloud without monthly fees by linking a Pogoplug hardware device to your home network. Or, you can download Pogoplug’s desktop software and share items between your phone and home network that way. Pogoplug Cloud is compatible with devices running iOS 4.2 or later, as well those running Android 2.2 or later. Users start with 5GB of space for free, and can add more storage space for a fee (50GB for $10 a month or 100GB for $20 a month).